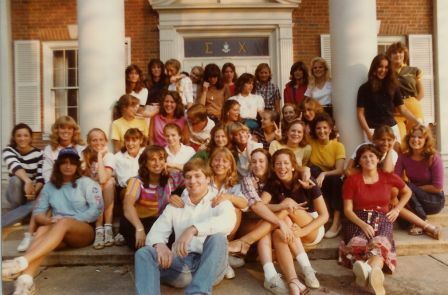 The Little Sister program began at Beta Sigma in 1968, just after the chapter moved from the Circle Park house to Fraternity Park. Mrs. Mary "Mom" Jackson, who served as Housemother until 1971, assisted with the program. The first Little Sisters are pictured on the 1969 Brothers' composite, along with House Mother Mary Jackson. Mary Gilbert was Sweetheart that year. 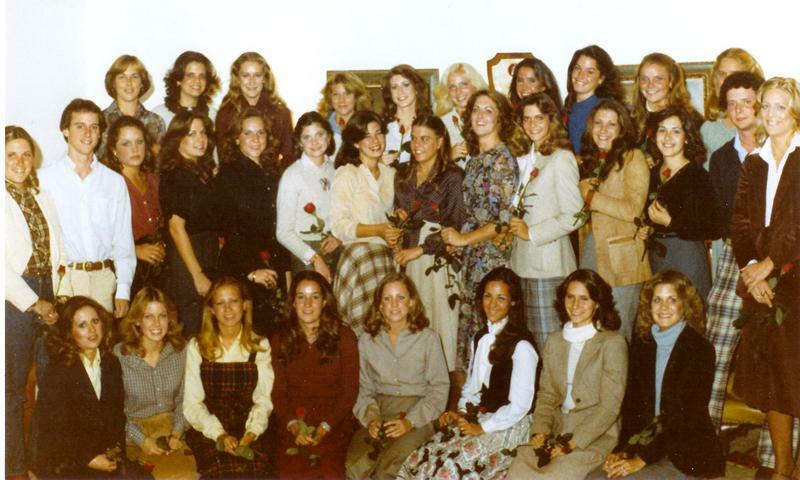 Once the Little Sister program began, the Chapter Sweetheart was chosen from the active Little Sisters. More info. The Little Sister program was active through the early 1990s. 1976-77 1977-78 1978-79 1979-80 (1976 - 1980 Composites courtesy of Lynda Minks). 1982 - 1985 Composites (see Photo Album at bottom of this page) are courtesy of Gail Early. Little Sisters (To add your info -- email, photo, etc. -- to the Profile section below, go to the upper right corner, and click on "Register.") Please add your maiden name, thanks!